Class 10,000’s International Organization for Standardization (ISO) equivalent is ISO 7. The primary function of clean rooms is to continuously filter air so that tiny particles in the air do not damage highly sensitive technologies, and in Class 10,000, the air changes 40-60 times an hour. However, this class is not particularly strict when it comes to limitations and rules regarding cleaning, moving around, and clothing, but there are still special procedures for each of these activities that must be followed in order to prevent contamination. Applications and industries that utilize Class 10,000 clean rooms include electronics, for use in the assembly and fabrication of small, sensitive electrical components; scientific research, for use in laboratories for clean, controlled environments required for experimentation; and pharmaceutical, for the processing of chemicals for drugs that have strict regulations from the Food and Drug Administration (FDA). In Class 10,000 clean rooms, full-length protective attire, such as a bunny suit, is not required to be worn. However, partial protective attire such as shoe covers, lab coats, hair nets, safety glasses, and gloves should be adorned by everyone entering the room. This is to block any harmful contaminants from personnel such as skin flakes, cosmetics, hair follicles, sweat, and more. The fabrication of clean rooms is performed in accordance with the various regulations, and the panel or wall material in Class 10,000 clean rooms is often made of materials such as white acrylic, steel or stainless steel, aluminum, or polycarbonate. The design of these clean rooms is also monitored, but there is still a variety available. 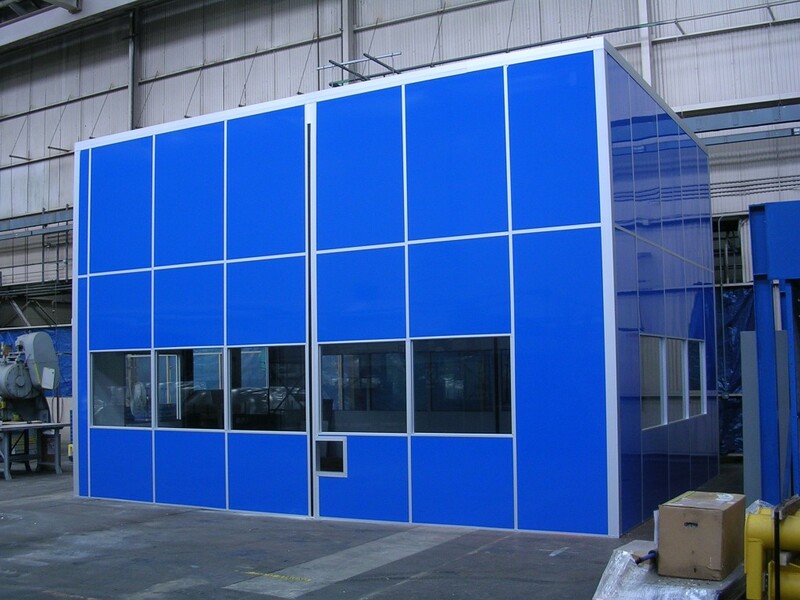 In fact, this class of clean rooms can be any of the three types: ballrooms, which are large and open rooms that are parts of the actual building; modular, which is a temporary and small room within a room; and soft wall, where the walls are made of tightly stretched or free-hanging fabric or plastic flaps. Additionally, Class 10,000 clean rooms may range in size from huge open spaces to tiny chambers, and may also offer extra features such as temperature control and electrostatic discharge control. >Class 10000 Clean Rooms Class 10,000 clean rooms are rooms in which the concentration of airborne particles is never allowed to exceed 10,000 particles per cubic foot. The Class 10,000 designation and all the other airborne cleanliness classes in clean rooms and zones name their classes after the maximum number of particles allowed in the rooms at one time.